Editor’s Note: Love French wine but intimidated by all the complex terminology that comes along with it? Fear not: In this video, Etty defines five French wine terms and discusses each term in context, so whether you’re looking for a better understanding of wine jargon or simply a pronunciation guide, you’ll find it here. 1. Sommelier: a person who is knowledgeable about a restaurant’s wines and advises patrons on wine selections. 2. Terroir: the natural environment, especially the soil, topography and climate where a wine is produced, and the taste and flavor characteristics that the environment produces in the wine. 3. Cépage: the type of grape varieties, including blends of different grapes, that are used in a wine. 4. 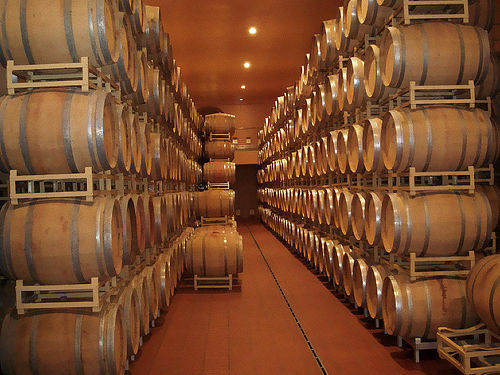 Barrique: an oak barrel used to age wine. 5. Saignée: a method of producing rosé in which the juice is bled off after a specific time period in contact with the grape skins. P.S. Any other tricky wine terms giving you trouble? Drop us a line in the comments and we’ll help you out!